Located within the inner courtyard of the temple are the various shrines which are the focus of the temple ceremony. 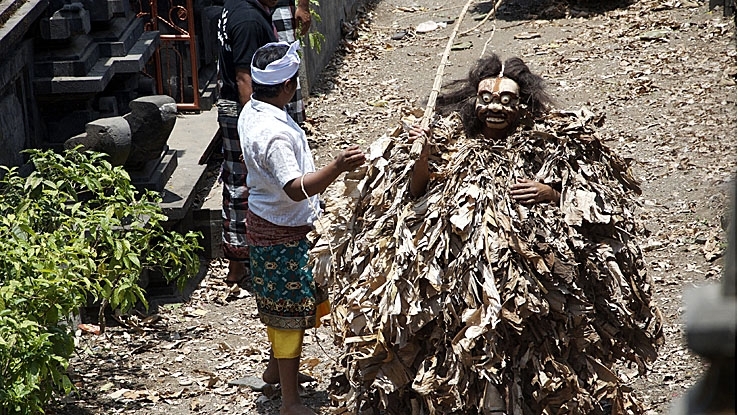 These shrines embrace the entire pantheon of Balinese spirituality with its rich webs of networks. The shrines are a way to see how the temple relates to the various concerns and activities of the village, and how the temple’s congregation is connected to other temple groups around the island. Some of the smaller shrines show the more obscure links between temples that might not be known to the average member, this knowledge is the privilege and responsibility of the temple’s priests. The simplest shrines are called gedong, these have the important utilitarian function of storing the sacred objects that are revered by the village. During the ceremony these venerated objects are taken out and displayed in other shrines called paruman. The meru shrines are the most visible, and the easiest to identify. Their many-tiered roofs symbolise the various levels of the spiritual worlds in Balinese cosmology. The more roofs a meru has is an indication of its importance. 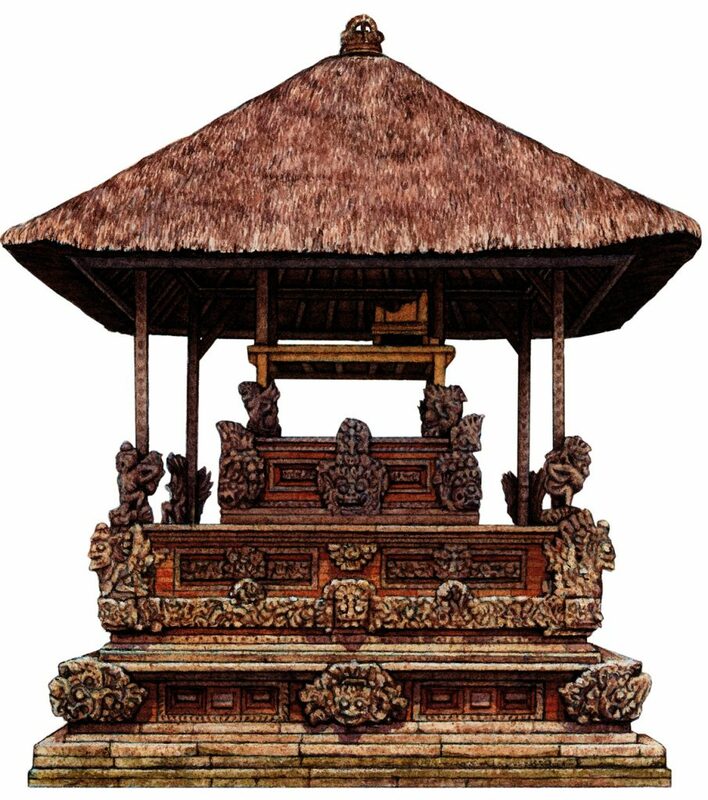 Other than its spiritual function, a meru possesses true aesthetic beauty, its elegance has become an emblem that represents the whole of Balinese architecture.